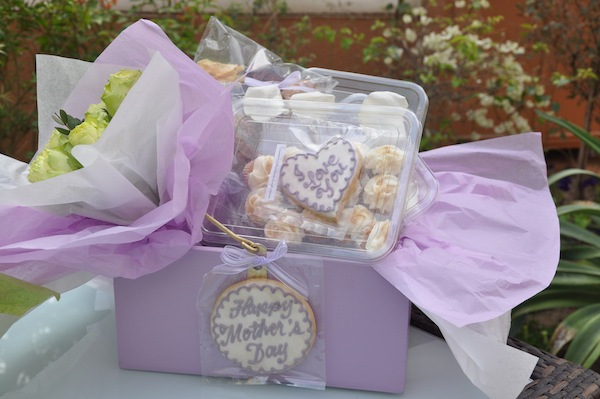 Celebrate Mother’s Day by giving your most loved one a J’s Bakery Love Basket or Plexi Gift box filled with reduced fat treats, truffles, custom cookies and fresh flowers. 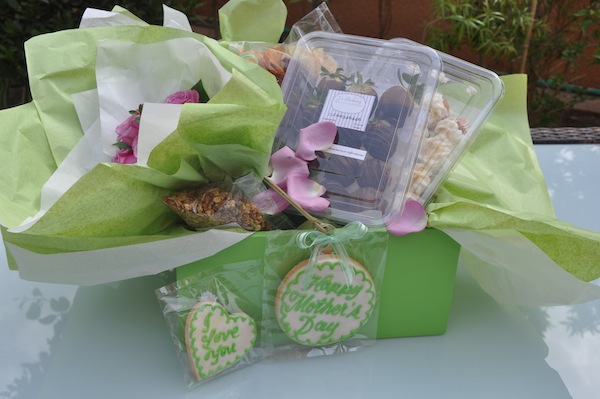 The handmade plexigift box is filled with an assortment of love bites, strawberries dipped in chocolate, and cheesecake truffles and adorned with fresh flowers. 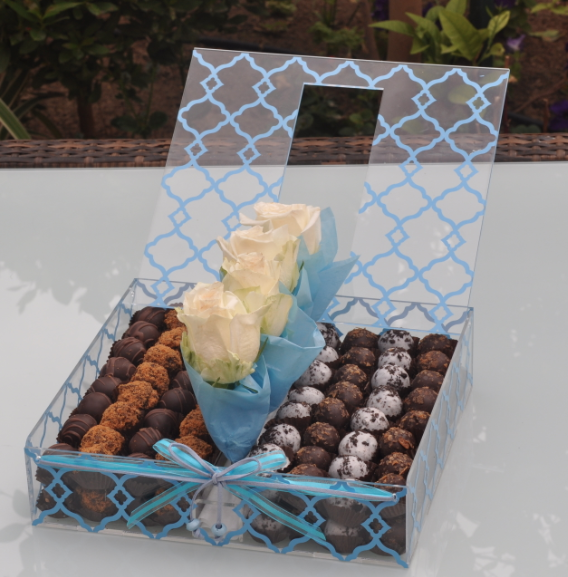 The Plexigift box is also available with a mix of our favorite treats.. brownie balls, oreo balls, cripsy balls and dulche truffles adorned with an arrangement of fresh flowers. 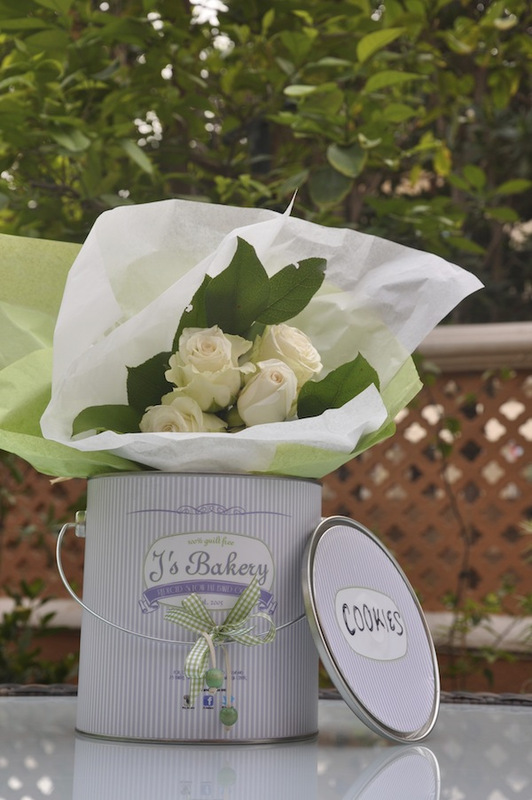 Finally our New Confection Can is available to be filled with your favorite baked goods and small bouquet of fresh flowers.. 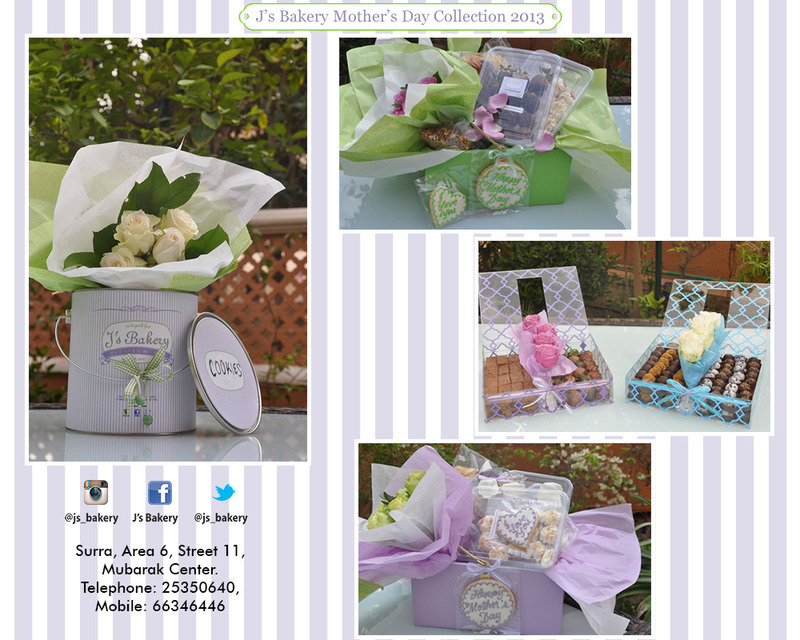 Call 25350640 or 66346446 or pop by the Bakery in Surra area 6, street 11 Mubarak Center to place your order to ensure early delivery.. 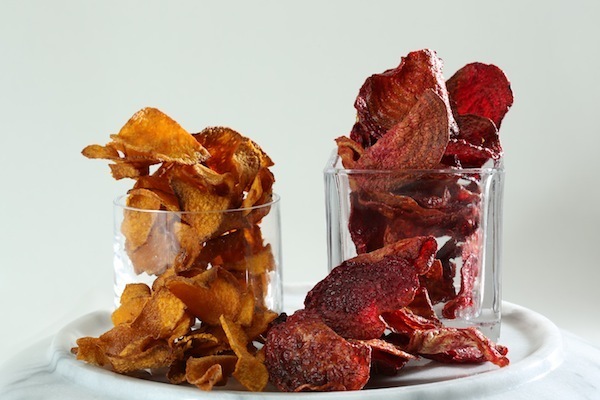 Introducing new fall flavors.. we decided to expand our snack menu with new munchies.. hand cut hand fried beetroot, sweet potato and potato chips.. lightly fried in sunflower oil and topped off with a dash of sea salt. 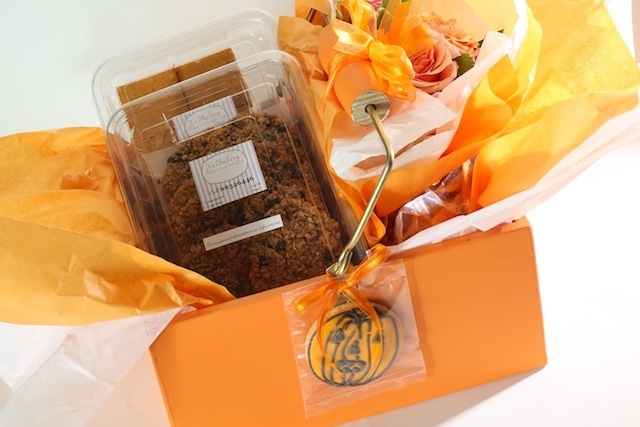 Our fall custom basket which is perfect as a halloween party gift.. is filled with our new flavors.. and a bouquet of fresh flowers..
We also love our home made granola.. baked oats, sunflower, sesame seeds and almonds lightly sweetened with honey.. its the perfect breakfast or snack on the go.. just add ur favorite dried fruits, flax seeds and ur choice of yoghurt or milk.. 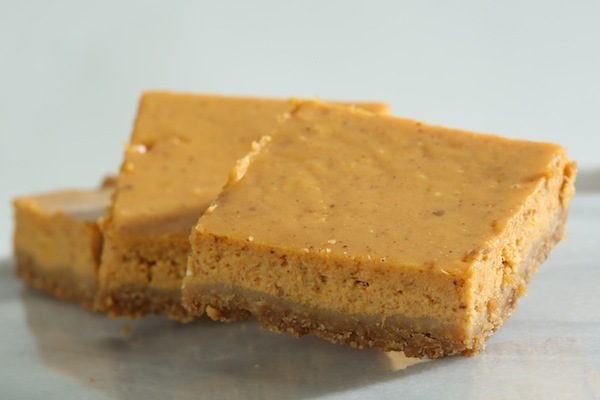 Finally, the perfect ending to your festive feasts this fall season.. reduced fat pumpkin cheesecake bars.. creamy with a touch of cinnamon.. perfect for the holiday season. 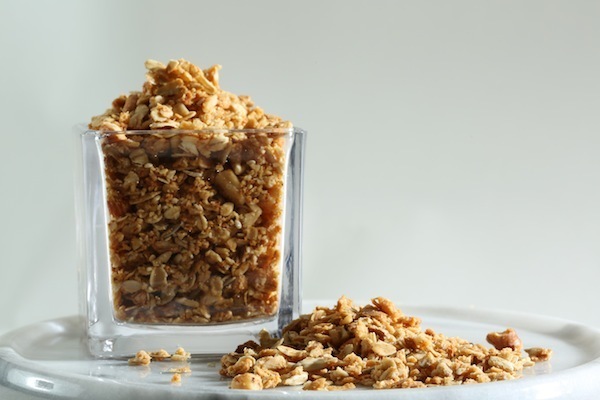 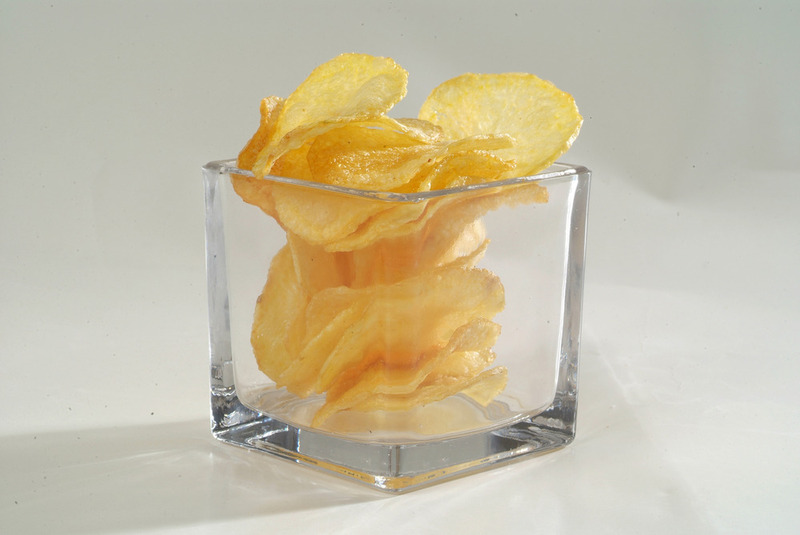 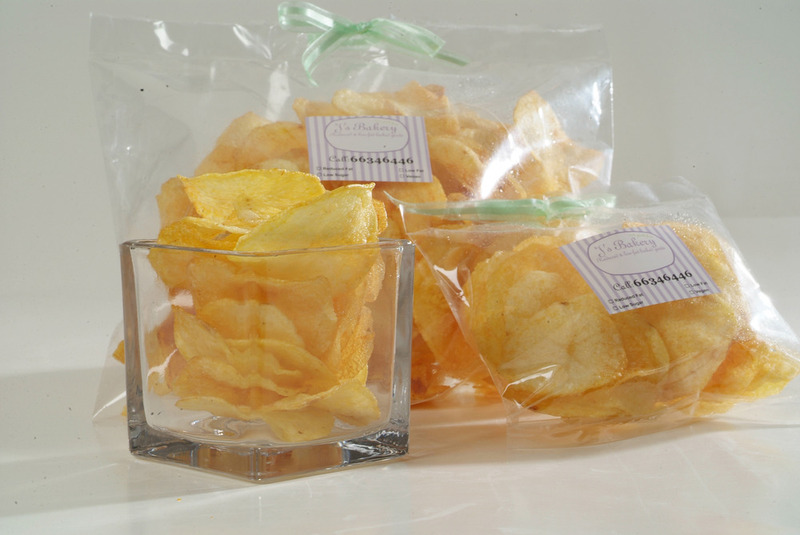 Call 25350640 or pop by to get our latest snacks.. 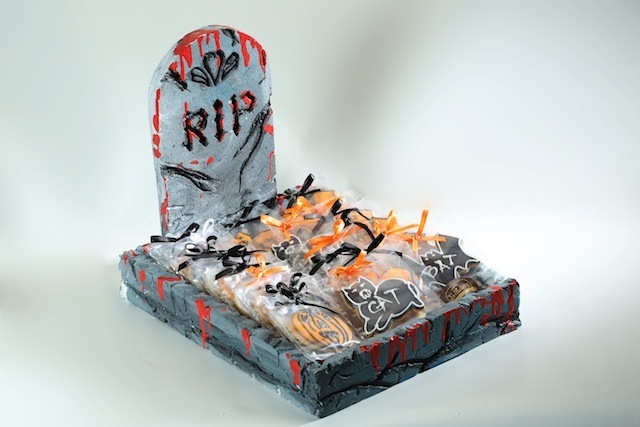 Celebrate Halloween with our new collection of spooky treats in fun packages..
Our Halloween customized gift basket is the perfect party gift filled with our new fall flavors of reduced fat treats and custom halloween cookies and a bouquet of fresh flowers. 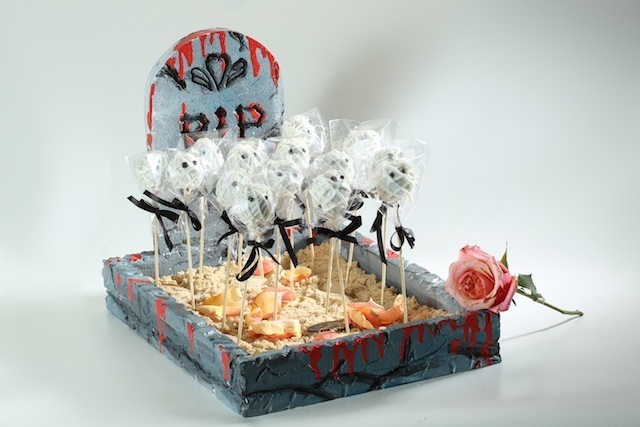 Or try one of our scarey graveyard packages filled with RIP mud cakes, custom cookies or mummy cake pops! 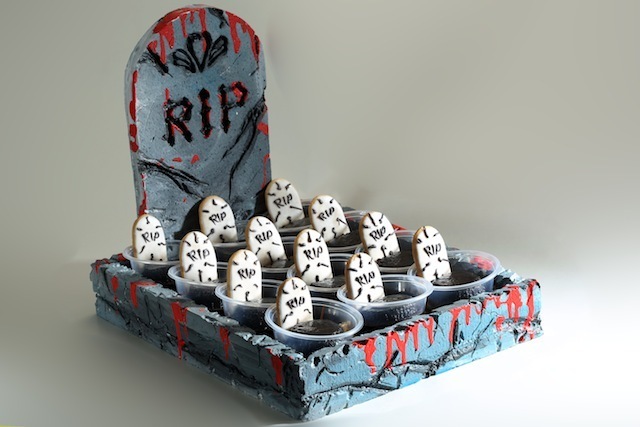 Pre-Order now to ensure early delivery.. 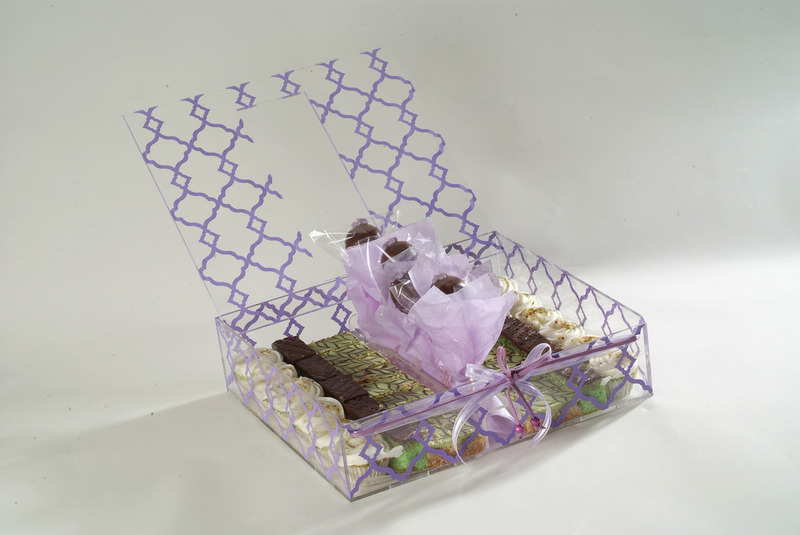 Call 25350640 or 66346446 or pop by Surra Area 6, Street 11 Mubarak Center..
We are debuting new flavors and ingredients like pistachio and rose water.. a lovely, aromatic combination just in time for Eid.. perfect for new beginings and family gatherings..
Our handmade Plexi gift boxes are filled with pistachio brownie balls, pistachio magic bars and pistachio and rose water cupcakes topped with light cream cheese frosting. 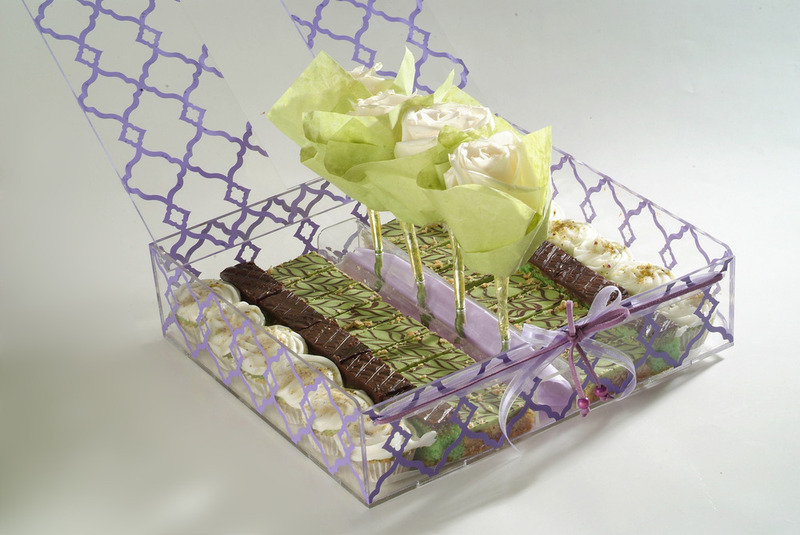 Our plexi boxes include your choice 4 fresh flowers in the center or 4 cake pops, adorned with ribbons and beads. 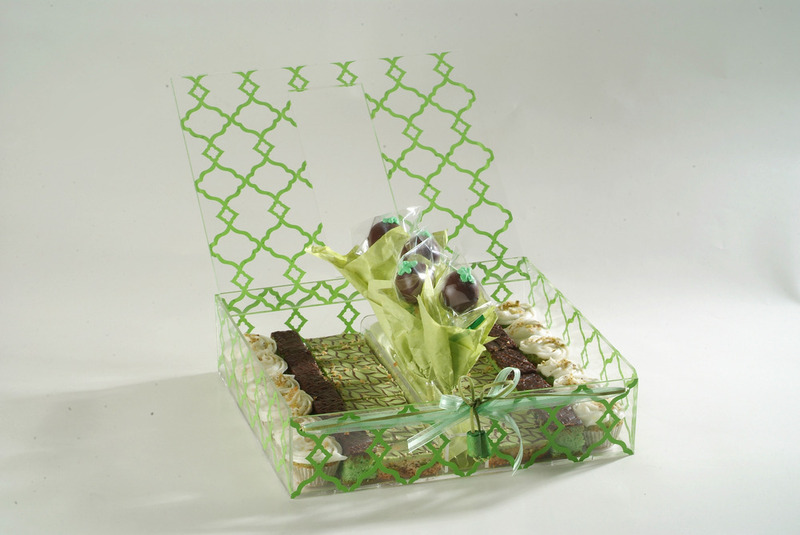 Eid Plexibox with Cake pops. 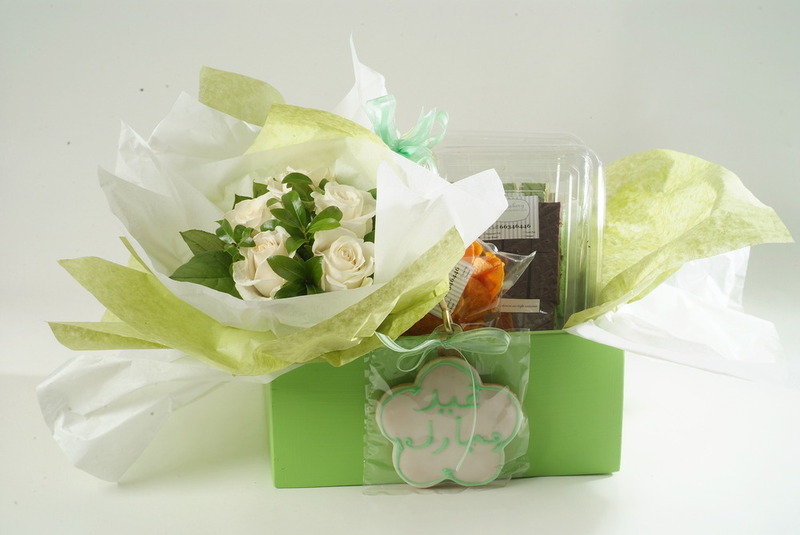 Our handmade wood giftbox are filled with 1dz Pistachio rosewater cupcakes, 0.5kg Pistachio brownie balls and one box of Pistachio Magic bars.. 2 bags of home made potato and and sweet potato chips.. and customized eid cookies.. Our baskets are decorated with silk paper, ribbons and a bouquet fresh flowers. 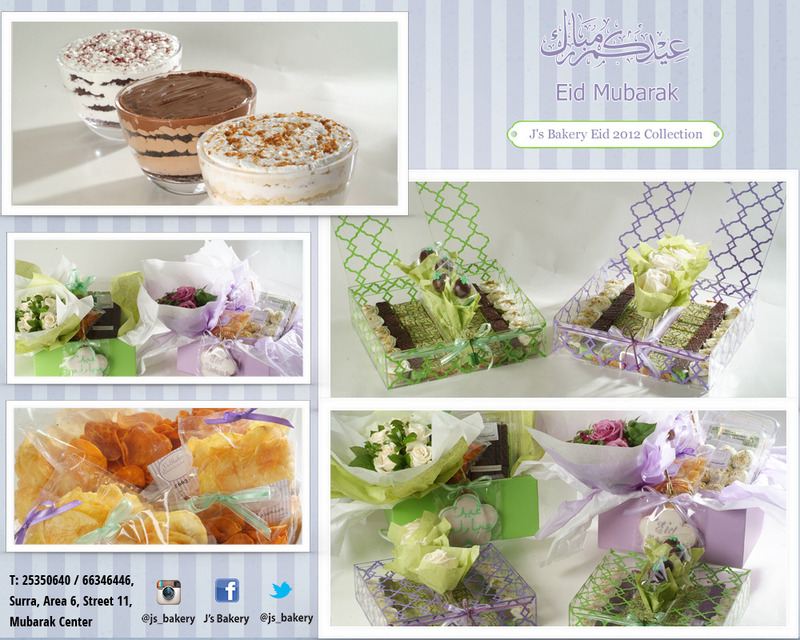 Please check out our previous posts for more details about new eid products and our new family size trifle trio. 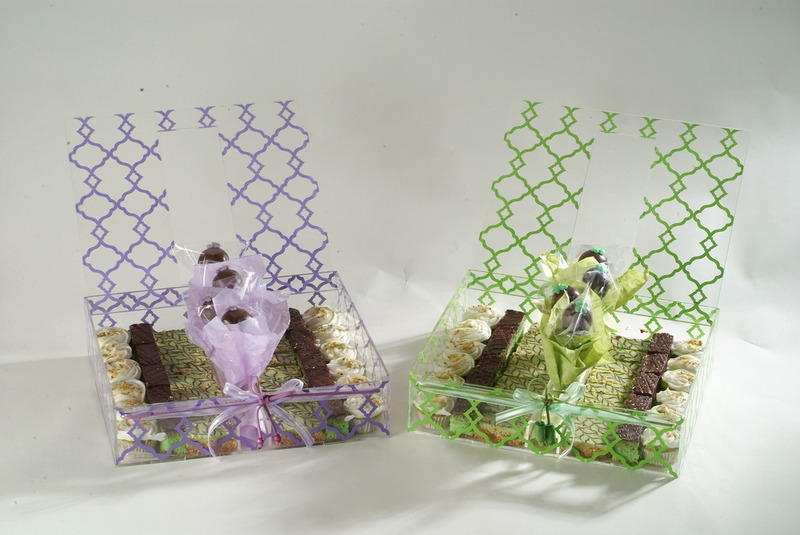 Remember if your not a fan of pistachio we can always custom fill our Eid packaging with your favorite reduced fat treats.. 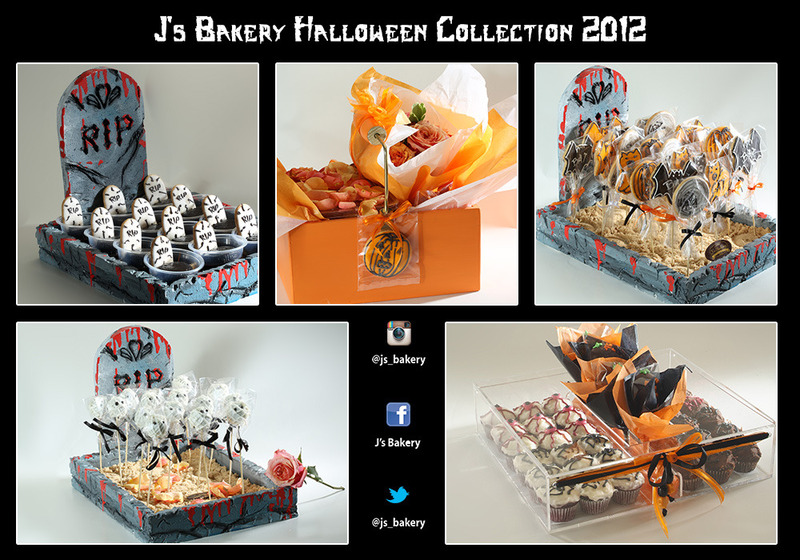 Please Pre-order to ensure early delivery by calling 25350640 and 66346446 or pop by Surra Area 6 street 11 Mubarak Center. 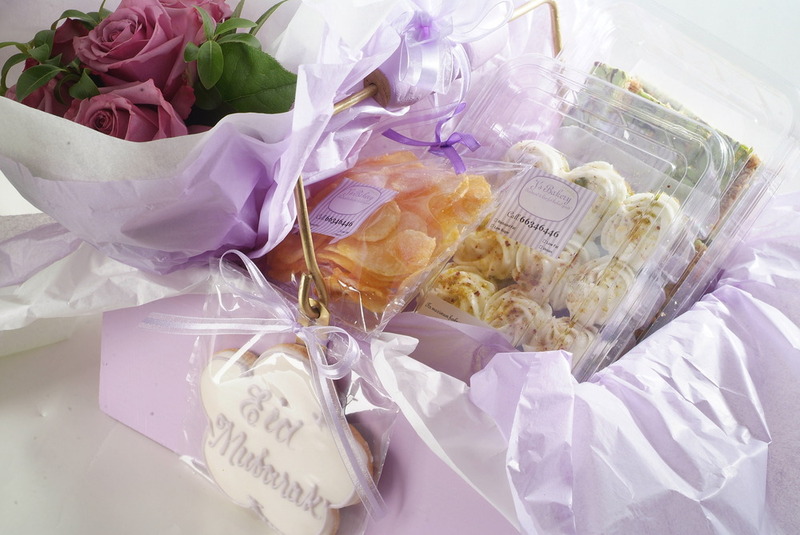 We are excited to introduce new Eid items at J’s.. 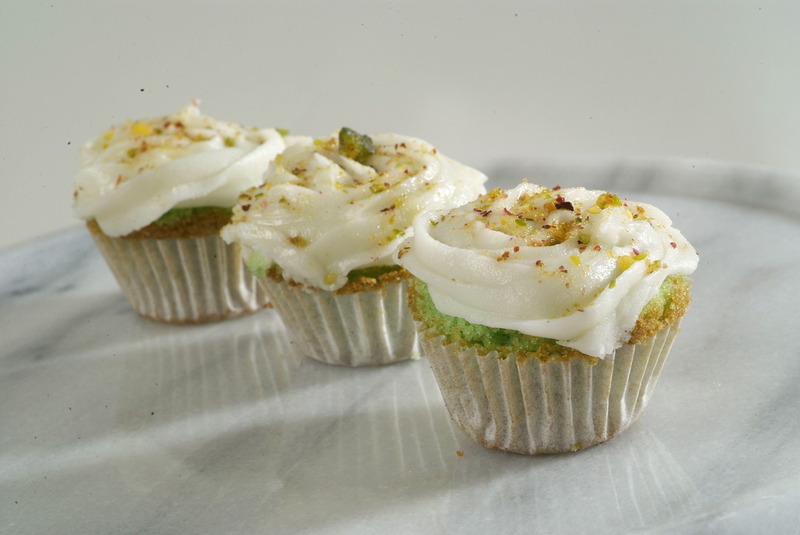 The new collection this year is features the fragrant and colorfull combination of pistachio and rosewater.. we thought the pairing to be fitting for new beginings which essential represents Eid as is the beautiful green color that presents prospertity and growth..
Pistachio and Rose water cupcake: Pistachio rosewater cake topped with light cream cheese sprinkled with chopped pistachios. 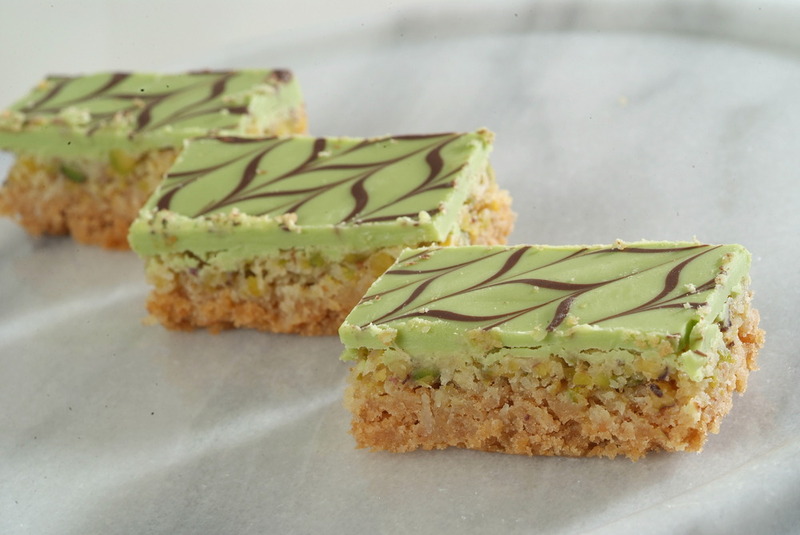 Pistachio Magic Bars; Layers of biscuits, pistachio and pistachio chocolate ganche with a hint of rose water.. tastes just as beautiful as it looks. 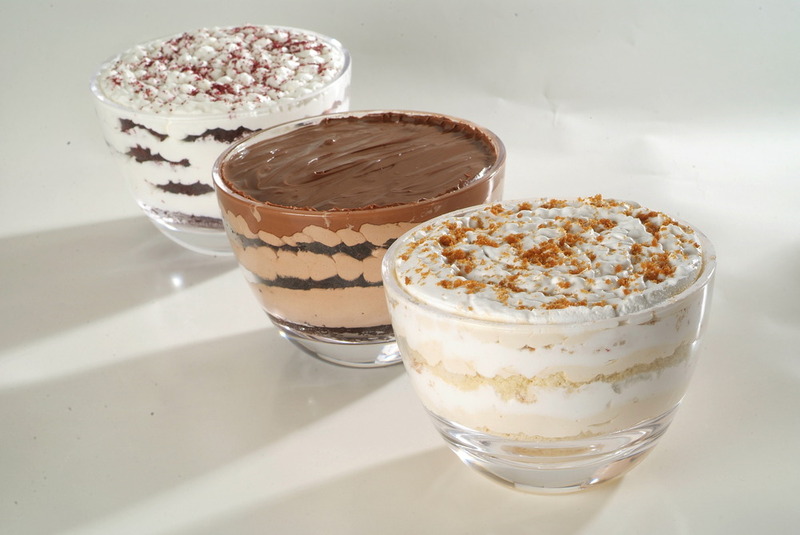 After much demand from our loyal customers and the success of our Ramadan Trio Trifle box we decided to introduce family size glass bowls of the Nutella trifle, Banoffee trifle and Red velvet trifle. 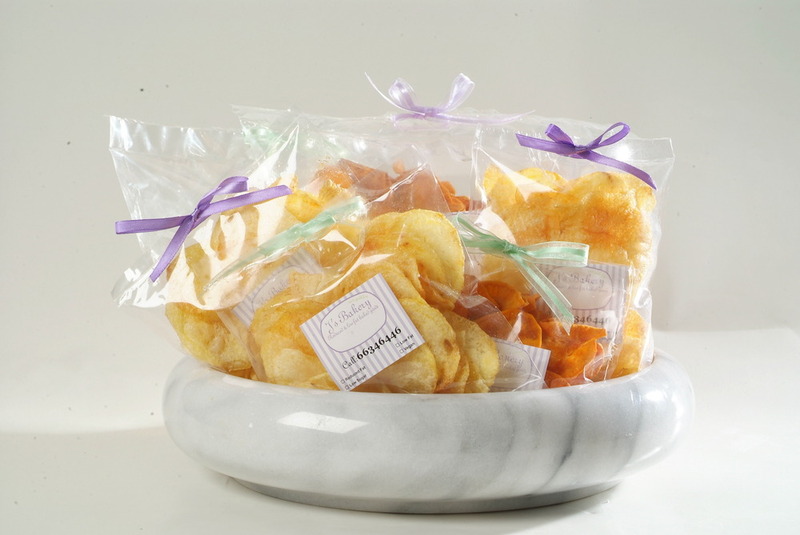 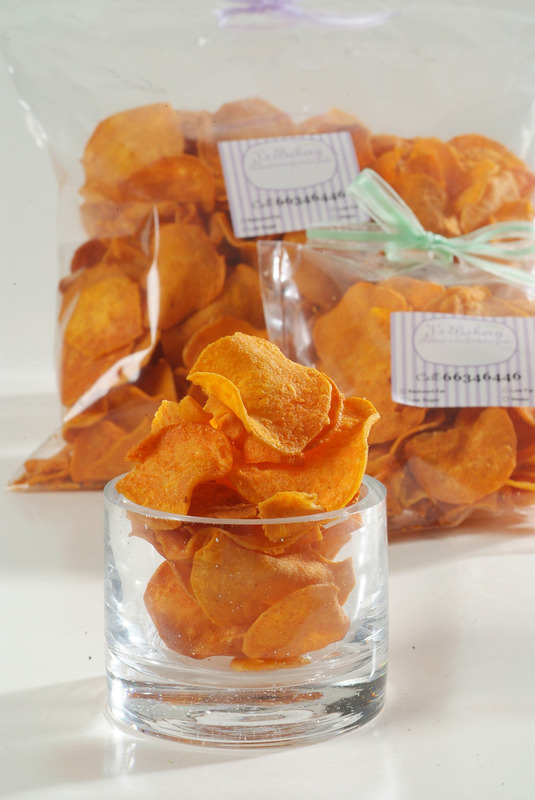 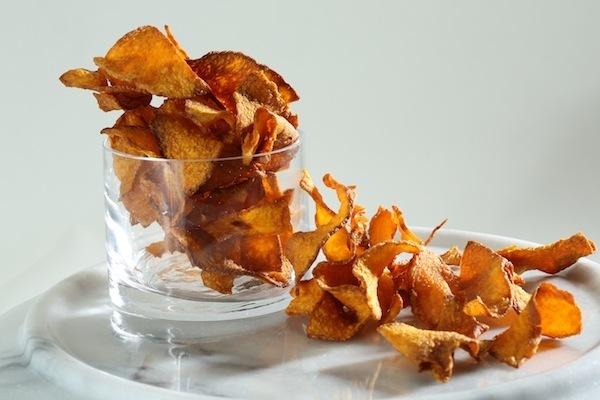 We really love our new Home made potato chips and sweet potato chips.. a great addition to the growing snacks options in our menu.. hand cut and fried in sunflower oil and sprinkled with sea salt..
Hope you all have a wonderful and safe Eid holiday filled with peace,love and prosperity..